During the comparatively barren times for progressive music in the early 70s, guitarist Bill Nelson (William Nelson, 18 December 1948, Wakefield, West Yorkshire, England) recorded the limited edition Northern Dream. Tapes of this collector's item were played by the pioneering disc jockey John Peel on his legendary BBC Radio programme, Top Gear. 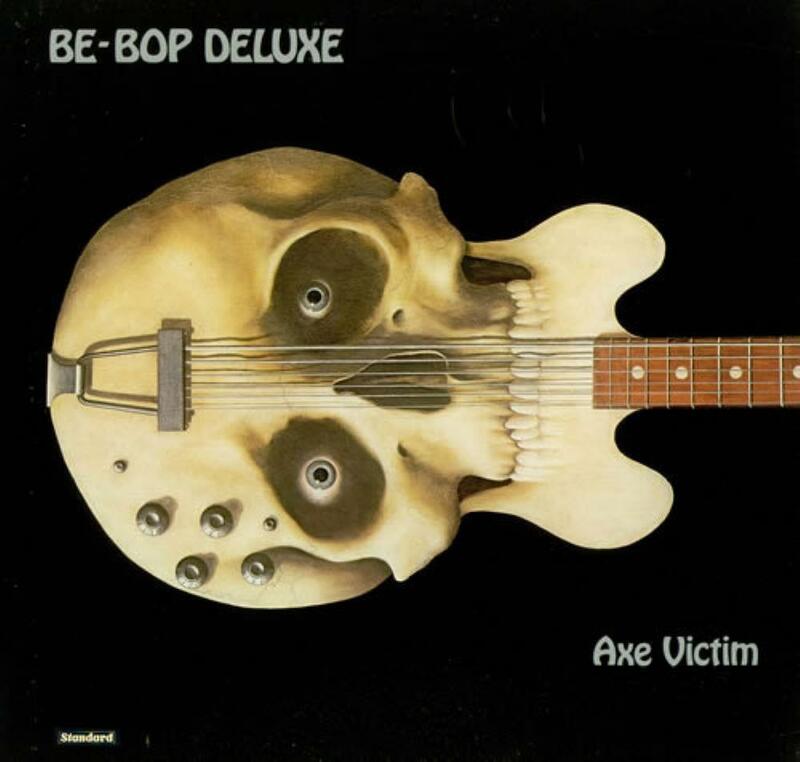 The line-up of Nelson, Nicholas Chatterton-Dew (drums), Robert Bryan (bass, vocals) and Ian Parkin (d. July 1995; guitar) recorded Axe Victim as BE-BOP DELUXE. Nelson soon disbanded the outfit, and following a tour supporting Cockney Rebel, he formed a new band, taking members from that fragmented unit. This short-lived combo also broke up. With the addition of bass player Charles Tumahai (b. New Zealand, d. 21 December 1995) and drummer Simon Fox, Nelson released Futurama and Sunburst Finish. The latter included a surprise hit single, "Ships In The Night". Nelson's undeniable talent as a guitarist began to dominate the band and as his technical virtuosity grew, the songs became weaker. Nelson abandoned the name in 1978 for the more radical Red Noise, retaining keyboard player Andrew Clark from the old band, although he now records under his own name. During their peak, Be-Bop Deluxe were an exciting and refreshing band who were ultimately unable to find a musical niche that suited their varied styles. One of the pioneers of so called "art rock", Be Bop Deluxe never quite hit the heights they deserved, but their brand of intelligent pop/rock featured cleverly constructed songs played by excellent musicians, particularly the multi-talented Bill Nelson. 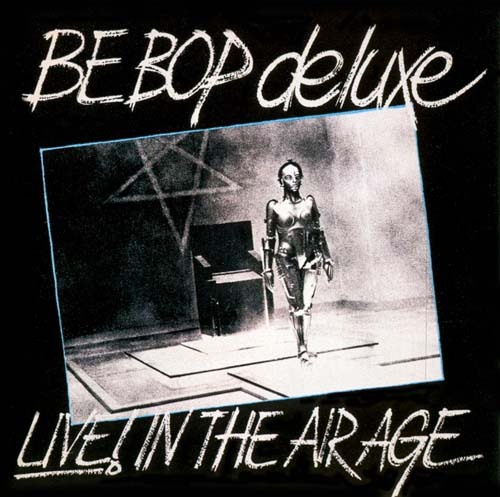 Be Bop Deluxe were a mix of glam rock, electronic experimentation music, and straight out rock and roll. 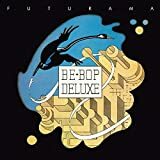 It is strange to realise, given the importance of their music on the art rock scene of the Seventies, that Be-Bop Deluxe only released five studio albums. Of the five, this has always been my personal studio favourite, although I must confess my all-time favourite is the mighty 'Live! In The Air Age'. It was the third release, with the coming together of the classic line-up of Bill Nelson (vocals, guitar, songwriter), Andrew Clark (keyboards), Charles Tumahai (bass, percussion, backing vocals) and Simon Fox (drums, percussion). It was only when I was doing some research I discovered that not only was Charles a Kiwi, but he was also a member of Herbs in the Eighties, one of the most important New Zealand bands ever (he passed away from a heart attack at the way too young age of 46). What I am listening to is a digital promotion copy of the expanded edition of 'Sunburst Finish' which has just been issued by Esoteric Recordings (it is also available as a twin CD set). This expanded reissue has been newly re-mastered from the original master tapes and features an additional 39 bonus tracks drawn from a stunning new 5.1 surround sound & stereo mixes from the original multi-track tapes by award winning engineer Stephen W. Tayler, previously unreleased out-takes from the album sessions, a BBC Radio "In Concert" performance from January 1976, a rare John Peel Show session from February 1976 (unavailable on CD for over twenty years), along with an unissued and previously unreleased 1976 Harvest Records promotional video for "Ships in the Night" and a session for BBC TV's "Old Grey Whistle Test" show from January 1976. 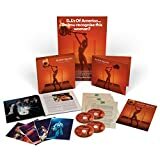 Another highlight of this limited-edition boxed set is a lavishly illustrated 68-page book with many previously unseen photographs and an essay of recollections by Bill Nelson. Additionally, the set includes a facsimile of the 1976 'Sunburst Finish' tour programme, postcards and a replica poster. Sadly, I just have the digital, which contains the three CDs, but that is more than enough to get my excited. 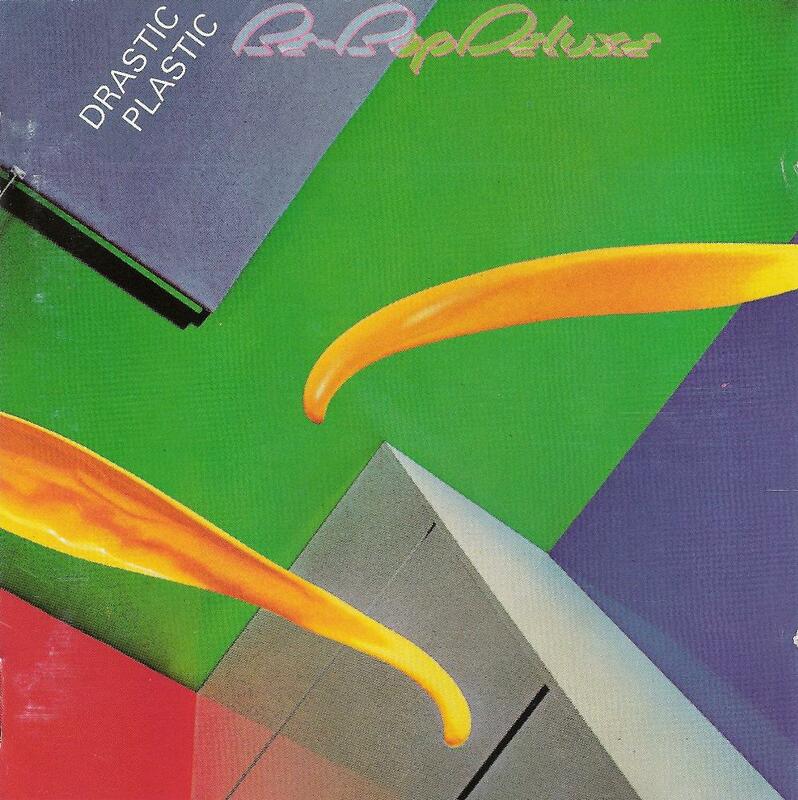 The first disc features a remaster of the original album, along with the original single version of "Ships In The Night", the second disc features new stereo mixes of the album along with six alternate versions, while the third features six songs recorded live for the BBC, and three more from the John Peel session. So that is 36 songs, while the fourth disc features 5:1 mixes of the albums as well as the videos. Bill co-produced the album with John Leckie, and I suggest you go to YouTube and search for the informative documentary which has been released by Cherry Red Records to tie in with this, which has them both looking back on the sessions and the recording process. For those like who may who find this part of the process fascinating, it is enthralling. What is the music like? Do really have to ask? Have you really never heard this album before? It surely is a staple in every music lover's collection. Although they sound nothing like then, in some ways they remind me of Gentle Giant in that they produced some amazing albums that are still played and enjoyed today the world over, but never really gained the commercial success they deserved. Nelson is a consummate songwriter, and here it really all came together with "Ships In The Night", "Life in the Air Age", "Blazing Apostles" and "Fair Exchange" rightly agreed to be some of the very finest songs they ever recorded. But, to be honest there isn't a duff song on this album, and since I first discovered this album not long after it was originally released back in 1976, it is one to which I have constantly turned. As many of you know, I live in New Zealand, and my home is just outside Christchurch. When the terrible tragedy was unfolding last month, I finally had to turn off the radio and seek comfort in music. 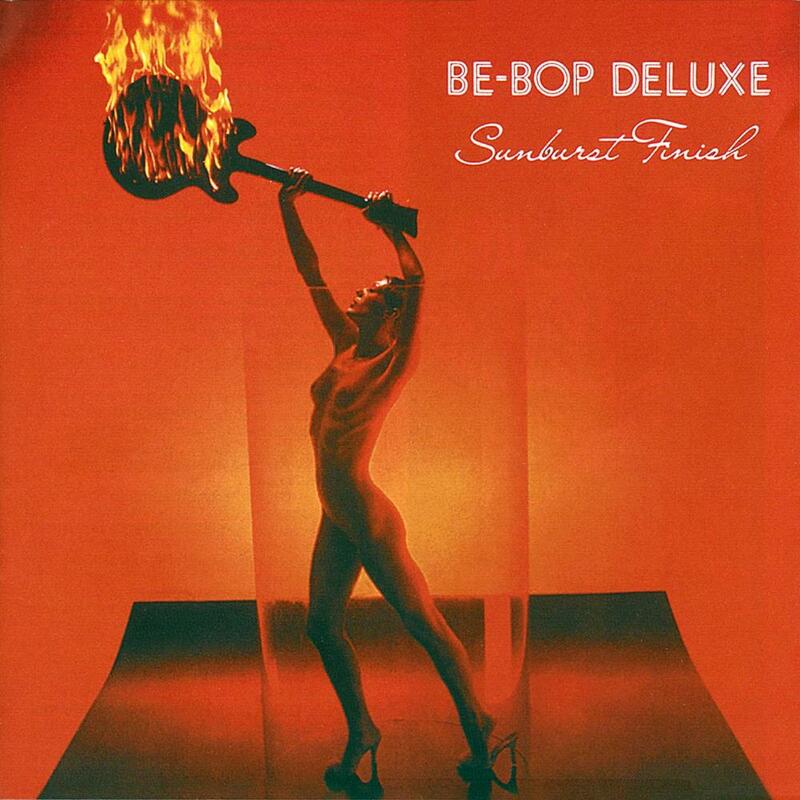 After much thought, there was only band that felt right for me at that time, Be-Bop Deluxe. it was 1973/4 - I had had Ziggy and lost, I had had Roxy Mk1 and lost and was desperate to find another act that I could immerse myself in. Thank God for Radio1 staging late night sessions and Album reviews and I got to hear of Bill Nelson and his exquisite Gibson 345 fueled licks and riffs and a big side dollop of synthy keys. I was a burgeoning young green-teen guitar player looking for any clues in the day before the net and DVD(!) - anyone who offered a glimmer was idolised and revered and Maid In Heaven was all it took. The opening wammy bar note sounded exactly as my Yamaha RD200 electric start did on power-up and as I swung my leg over to blast off onto the mid 1970s streets with this song in my head it made me feel vital and relevant. The Album's soaring guitar deliveries created a life-long love of the classic Gibson Semi and I eventually got to own one too! I may not have all the riffs and licks off to pat even now, but I have squared the circle. Hell I even got to discuss his technique and gear with him direct on his Dreamsville Inn Forum at billnelson.com - - Maid an ageing '16' year old feel In Heaven all over again! When I reviewed this band's debut album a while back I noted that even though I wasn't terribly impressed with the record itself, the bonus live tracks did intrigue me because they sounded so much better than the stuff I'd just sat through. 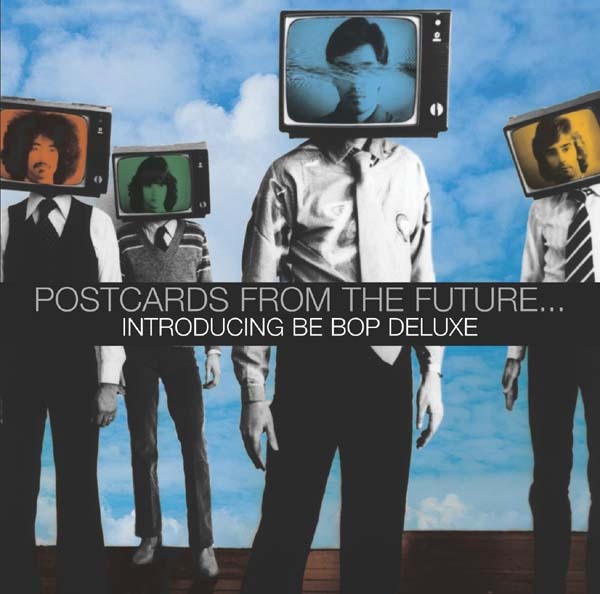 The in-concert material that was added to the reissued CD had been taped some years later and they featured Be-Bop Deluxe with a revamped lineup. The musicianship involved was a significant step up compared to what I'd heard on the amateurish "Axe Victim" so when I came across this compilation of three separate BBC radio simulcasts I acquired it in hopes that it would contain material along the same lines. Not being at all familiar with what the four studio LPs that followed their initial offering held inside their cardboard covers, I figured this would be a good way to obtain a fair overview of the group's career. Plus, radio concerts are usually very intimate affairs and it's hard for a band to hide their defects in that setting. In a large hall or an arena the cavernous echo, the volume projected and the feedback of the crowd can smooth over some inherent flaws but simulcasts, by default, expose every bad note and miscue as it happens. The most curious thing about these recordings is the fact that they were tucked away in somebody's basement or back room until 1994. 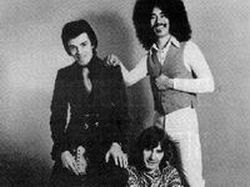 The initial four tunes are from a session captured early in 1976. "Life in the Air Age" sports a nice, jazzy tint and some interesting musical patterns that belie a lot of maturity in leader Bill Nelson's songwriting skills. "Sister Seagull" has an aura that, like much of what their flawed debut exuded, reminds me of some of the unorthodox, trippy compositions that were coming out of the psychedelic San Francisco scene in the late 60s. "Third Floor Heaven" is weak mainly because it's not much of a song to begin with and it has too much of the dated British Glam coloration to be taken seriously. "Blazing Apostles" is the best of the four. The overall arrangement is very progressive and Andrew Clark's keyboards add a touch of class as the group toys with some clever, Zappa-ish incidentals throughout. The next six cuts are from a broadcast that aired much later in the same year and their upwardly evolving craftsmanship is evident. On "Maid in Heaven" Nelson's guitar playing shows he gained much more confidence during the months of touring and his style is a lot more fluid because of it. "Kiss of Light" follows. While I'll admit that Bill's compositions are truly unique, sometimes (as is the case here) they have a bad habit of being inconsistent in quality. The intriguing high points are offset by the confusing low ones. One of the numbers that captivated me in the aforementioned bonus section of "Axe Victim" was their onstage rendition of "Adventures in a Yorkshire Landscape" and the version presented here is just as good. It's a strange song but I really like its bluesy jazz groove immensely. Nelson's guitar solo is excellent and Clark's electric piano ride is superb while the rhythm section consisting of drummer Simon Fox and bassist Charles Tumahai is remarkably tight. "Fair Exchange" is a quirky rocker with a variety of feels included and, while it doesn't thrill me, at least it's not boring. On "Ships in the Night" a slight Supertramp influence is noticeable but it's not blatant, either. The tune is engaging in a coy, clandestine way that sneaks up on you. The long medley of "Modern Music/Dancing in the Moonlight/Lost in the Neon World/Modern Music (reprise)" is well worth the price of admission. Pink Floydian sound bites set the mood, then the melodic journey begins with intertwined guitar and synth harmony lines and Bill's smooth but authoritative vocal. The proggy structure of the entire endeavor is admirable on many counts. The final six selections were taped early in '78 and they sound like a different ensemble altogether this time around. The perky "New Precision" features a throbbing disco beat but it's deceptive because the tune is more of a heavy rocker than a trite dance number. There's a noticeable New Wave vibe going on here that reminds me of Talking Heads but, since that eclectic New York outfit had just appeared on the map at the time, I wonder who was affecting who, exactly? It's a very arresting and memorable composition. The change in Be-Bop Deluxe's direction is even more obvious on "Superenigmatix." Most notable is their generous use of effects on both the guitar and the keyboards. Next is "Possession" and, again, the New Wave sound abounds throughout. The problem I have with this one is there are times during it when I'm reminded of the borderline vapidity that permeated that movement and used to drive me to have anxiety attacks over where music was headed. "Dangerous Stranger" follows and I can easily picture a dolled up David Bowie manning the microphone for this punchy rock & roll ditty. It's not disturbing but it is a tad too derivative to deem it very original. A true highlight of the record is their stunningly deft delivery of "Islands of the Dead." The song's presentation is a lot less hectic and much more delicate than the others, as they create a serene atmosphere that draws the listener right in. They end the show with "Panic in the World," a driving number that causes me to ponder that these boys were just a little ahead of their time because this is precisely the kind of music that really took over and dominated the industry in the early 80s. It's always fascinating to hear how a group or an artist developed and/or adapted over a period of years and these three concert recordings do it as well as I've ever come across. One thing's for sure, they were most assuredly prog-minded at a time when progressive rock was slowly but surely falling out of fashion. While I don't always cotton to the whole of their stuff I have great respect for their gumption and for not being scared to be trendsetters in a business full of followers. I'm kinda surprised that they didn't catch on stateside like Elvis Costello and The Police did but maybe they just gave up and disbanded a year too soon. Nonetheless, this is an enjoyable trek through their history that unflinchingly displays Be-Bop Deluxe live without embellishments just as they were and they prove themselves to be worthy of any unbiased, open-minded progger's respect. 3.5 stars. In my ongoing effort to familiarize myself with a wider assortment of prog and prog-related entities, especially the ones I missed along my plodding way through the decades, I have come (via no particular method) to Be-Bop Deluxe. All I've ever known about them was surface deep due to seeing their album covers in the record store but I never went the next step by purchasing their wares and putting needle to vinyl groove. 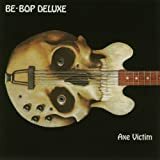 Recently I gave their debut disc, "Axe Victim," a few spins and I can't say that I expected what I heard or that I had any preconceived notion about what I expected to hear from them in the first place. What I certainly didn't anticipate was how dated the material would be and how thin the production would turn out. They begin with the album's namesake song and right off the bat the influence David Bowie exerted on them is quite evident but they do stop short of outright plagiarism. Glam rock was all the rage at the time so I can't say I was shocked by it. Band mastermind Bill Nelson's heavy, blues-oriented guitar playing is dominant but he does add a progressive slant to most of his tunes' structures as evidenced on this particular number by his incorporating frequent tempo changes. "Love is Swift Arrows" is a perky little ditty but the drums are very dry and flat, giving the track a minimalist texture that I don't find attractive. In a way it's kind of a throwback to the freewheeling let's-run-through-the-song-a-few-times-and-then-turn-on-the-tape-machine-to-see-what-happens Hippie music that abounded on the west coast in the late 60s. It abruptly segues into "Jet Silver and the Dolls," a Ziggy Stardust knockoff that sports an uncomfortably loose motif. There's a distinct "art rock" vibe emanating from their attitude in that they don't seem to be all that concerned with finesse or tightness. Next is "Third Floor Heaven" and by now I sense that they're cultivating a palpable 70s "underground chic" countenance in delivering their product. I don't mind that per se but one big drawback is a lack of variety in the instruments they utilize and, for that matter, the overall repetitious tone of the proceedings. "Night Creatures" follows and, as if they heard my gripe, this one has a modicum of depth that broadens the song's scope appreciably. It's not what I'd call a great number but it's the best of the bunch so far. Bassist Robert Bryan not only contributes the sole non-Nelson composition with "Rocket Cathedrals" but sings it, as well. For this one they toss in an odd opening sequence but it leads to yet another Bowie-ish rocker that's predictably predictable. I guess you could say they know what they like and they like what they know. "Adventures in a Yorkshire Landscape" is a slower paced semi-ballad and I can't tell if Bill is just being British or trendily androgynous in his vocalization but his style is assuredly "affected" for better or for worse. Unfortunately he sticks with the same guitar rig settings cut after cut and it begins to grow tiresome. "Jets at Dawn" features some obligatory birds chirping and dogs barking with a plane taking off overhead and then they slip into more of the same post-psychedelic mishmash that characterizes their craft and is making them come off like a one-trick pony. The guitar-heavy jam that commands the middle-to-finish portion may have been designed to be non-conformist but it lacks true focus. "No Trains to Heaven" is next and it seems they're committed to staying in their comfort zone even if the tunes are starting to be indistinguishable from one to another. It's as if they had aspirations to be the English incarnation of Grand Funk Railroad. "Darkness (L'Immoraliste)" follows and I was very glad to hear a piano and a string section in the mix for a change. It projects an overly dramatic mien but at least it gives the impression that they were willing to stretch their horizons ever so slightly. The last three tracks are live recordings from 1977 when the band toured with a revamped lineup. On "Piece of Mine" Andrew Clark's electric piano helps to fill out their ambient presence greatly. Listening to this tune I get the feeling they would've been right at home performing on a flatbed truck in a San Francisco park during the summer of love. That they have an instantly identifiable aura is not in question but too often on songs like "Mill Street Junction" the composition and arrangement is nothing more than a vehicle for Nelson to play a guitar lead. However, their in-concert rendition of "Adventures in a Yorkshire Landscape" is excellent. Clark's piano lays down a jazzy foundation and the onstage atmosphere they establish is much more enjoyable compared to what their studio work emitted. This is the finest cut on the record because Bill's guitar solo is passionate and highly moving while Andrew's electric piano ride is cool and classy. Due to its amateurish nature I was all ready to give this album a high one-star rating but the three bonus tracks that were included on this reissued CD made me think that they were on their way to creating something much better. "Axe Victim" came out in '74 and afterwards Nelson completely overhauled the personnel before the next go-round in the studio so I'm willing to give him the benefit of the doubt and up my rating accordingly for showing potential. While I don't consider this disc anything special whatsoever I'll grade them on the curve and hope I'm pleasantly surprised by what came after. 2 stars. This is my first exposure to Be Bop Deluxe, bought on a whim due to dirt-cheap prices. My curiosity causes me to do this from time to time and a low price always catches my attention. That's not because I'm cheap. It just means I can fit another CD into my purchase, i.e., more bang for my buck. 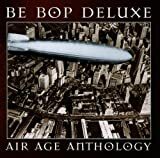 Be Bop Deluxe reminds me more of what used to be termed as "art rock" on this site before it got relabeled "crossover." So what we have here is not the usual symphonic prog, or anything resembling the other genres that began in the 1970s. It's generally quirky pop rock with progressive leanings and performances clearly made by very skilled musicians. In fact, this group could have pulled off some really wonderful music if they could take some of their better tracks and extend them to two to three times their length. Overall, there are some similarities with other art rock groups of the period, like Roxy Music, 10cc, and David Bowie. The quirkiness at times reminds me of Gentle Giant, but even those these musicians are talented, they aren't even close to the same league as Gentle Giant. Because of the quirkiness, the music has a very eclectic feel to it. Sunburst Finish is clearly not in the same league as the classic progsters of the 1970s, but their music is far better than the average pop rock of the time. Those of you with an interest in quirky stuff should really like this. If it weren't for the charming quirkiness, this would be a rather bland album. The music of Be Bop Deluxe must have passed through my collection at some point, years ago. But after revisiting the band through this 1977 live album it's easy to see how they never found a stable foothold in my vinyl library, and (on a much larger scale) why the band couldn't make that leap from popular cult act to superstardom. In retrospect, I hear a young quartet of capable, efficient musicians unable to find a distinctive style to call their own. The sound of the band on this disc, which as a live set from late in their career can also be heard as a more or less representative best-of-Be Bop Deluxe collection, is strictly quintessential but hardly classic mid '70s guitar rock, without enough hooks to hold onto after thirty-plus years. Certainly there's nothing here approaching the pure electronic energy and (at the time) innovation of guitarist Bill Nelson's techno-pop solo albums from the early 1980s. And none of his unique visual fixation with Jean Cocteau or post-war suburban Americana and beatnik culture. But on the other hand, without even being familiar with the original studio albums, without even being a fan of the group, I have to acknowledge what an excellent live album this is, as a piece of performance. Many of the songs here obviously came to life on stage, with lengthy instrumental breaks and galvanized solos only possible in front of an eager audience. Nelson's long, luxurious guitar break during "Adventures in a Yorkshire Landscape", bracketing an equally romantic turn by Andrew Clark on electric piano, is one of the album's highlights. Even more impressive (and longer) is the quicksilver guitar and keyboard jam over the funky accompaniment of the song "Shine". There are plenty of similar moments when the music really gels. But the album itself would have to be considered a period piece now, produced and played in a style which locates it very precisely in the middle 1970s. Listeners of a certain age will no doubt recognize the attractive time-capsule aura surrounding it (the album was released the same year I graduated from high school). But to anyone who didn't come of age in the '70s it might be little more than a dusty, irrelevant fossil from another generation. I have been listening to this CD for a while and I cannot get a hold of It. The music is beyond me, there´s no one single track to put above the rest. What kind of music is this? 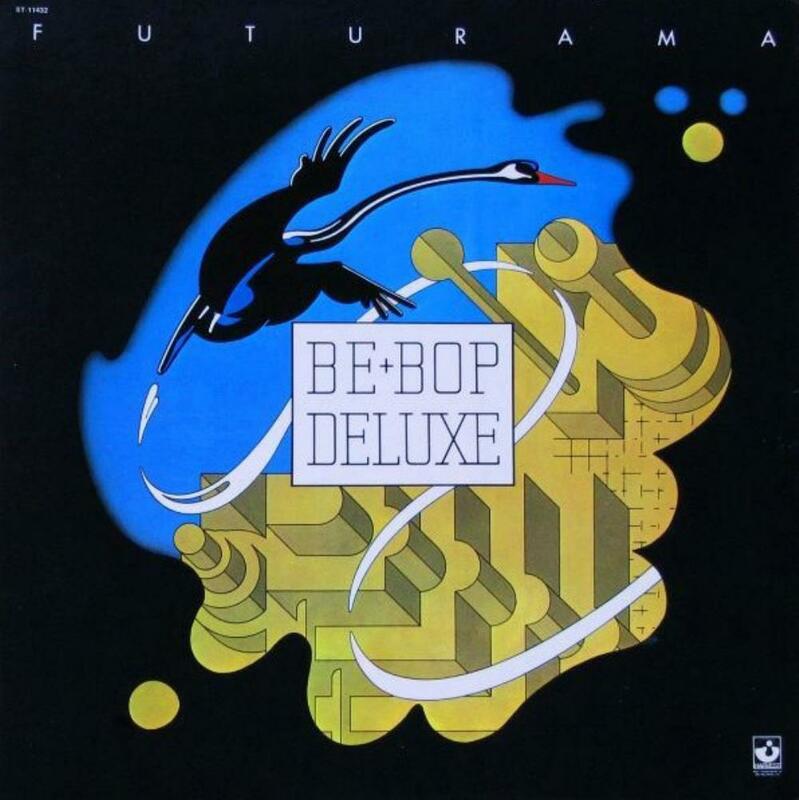 I don´t know and I can see exactly why Be Bop Deluxe was never a mainstream act. There's no singles in here. The music is not bad at all, the guitar playing is top-notch but It is a strange record to say the least. So if You are in the mood to discover new glam-prog-jazzy sounds this my be the way to do It. Three stars because I don't think this would be an excellent addition to anyone's collection. I only have the LP version of this one, so alas, I can not judge the bonus tracks. The album starts with the somewhat proggy, but over-produced Stage Whisper. This is a pretty good tune, but it gets lost in the aforementioned production. The swirling phasing on the guitar and drums ruins the entire affect of the piece. Love With The Madman is a fairly standard midtempo ballad, saved by some fine guitar by Bill Nelson. Maid In Heaven is a somewhat forgettable guitar heavy rock song. Sister Seagull is a slow, slightly psychedelic tune, again helped by Nelson's guitar, It almost sounds Hendrix inspired. . Sound Tracks brings back some prog, but not a whole lot of prog. Side two begins with Music In Dreamland, that has sort of an early-Yes sound. Jean Cocteau sound a bit like Brazilian jazz. Between The Worlds may be the proggiest song on the album. And my favorite here. It sugues into Swan Song, another good proggy piece. So about half of this album definitely has prog elements, and it deserves a place here. I would compare it to the middle years of Todd Rundgren's Utopia, before they became completely a pop band. 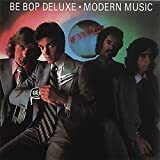 Be Bop Deluxe - one of the most overlooked bands, perhaps overshadowed by Queen, but in my view BBD produced more great material that their more famous counterparts. Ships In The Night. What's all the fuss. A below par pop song, not representative of the band. 2/10. Sleep That Burns - Similar to Fair Exchange in many ways, complex and involving. 9/10. The previous review did not rate 'side 2' - beg to differ. Beauty Secrets - Semi acoustic style, 7/10. Shine - Instrumental, one dimensional. The kind of thing they might have used to warm up. 2/10. Blue As A Jewel - Wow again! This has a lovely sustained guitar that weaves in and out. Well to sum up, 6 great tracks and 3 others not far behind. A very deserved 4 stars. Lovely piece of work that hits the highs, but also some very mediocre bits at best. The album starts off nicely with the pacy and interesting "fair exchange." The lyrics and vocals can make you sit up and be surprising like "The Tia Maria she lives on the wall, looks in the mirror and pukes on the floor!" (I guess its a drink thing). The album has many catchy riffs and good playing. The standout tracks are "Ships in the night" which was a hit single, and the track "Sleep that burns." The later tracks or side 2 on vinyl are not to memorable unfortunatly which is why I have not scored it higher. Worth a purchase though for some of the highs.